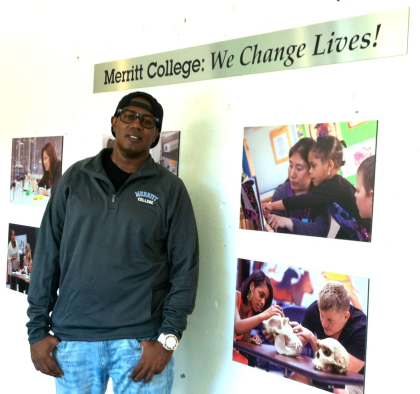 Did you know that famous rapper Master P is an alumni of Merritt College? Did you know that famous rapper Master P is an alumni of Merritt College? Then known as Percy Miller, he came back to visit the college, see his former basketball coach, and thrill lots of current students who had their photo taken with him!